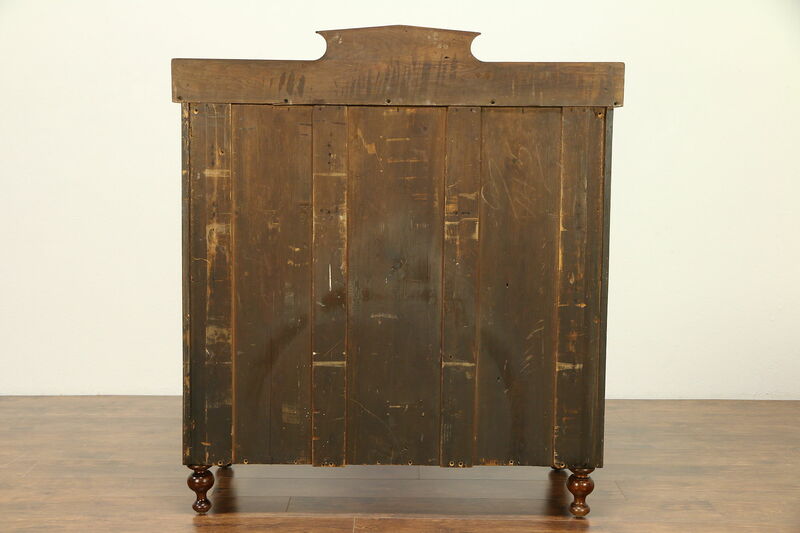 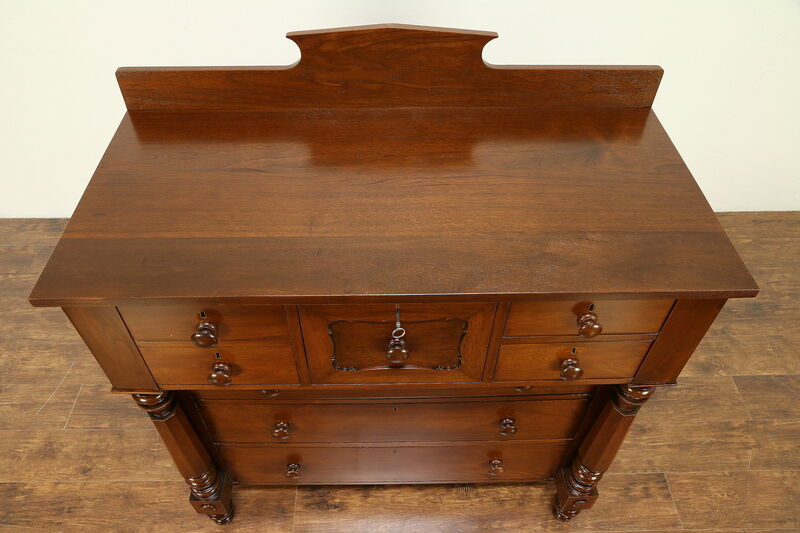 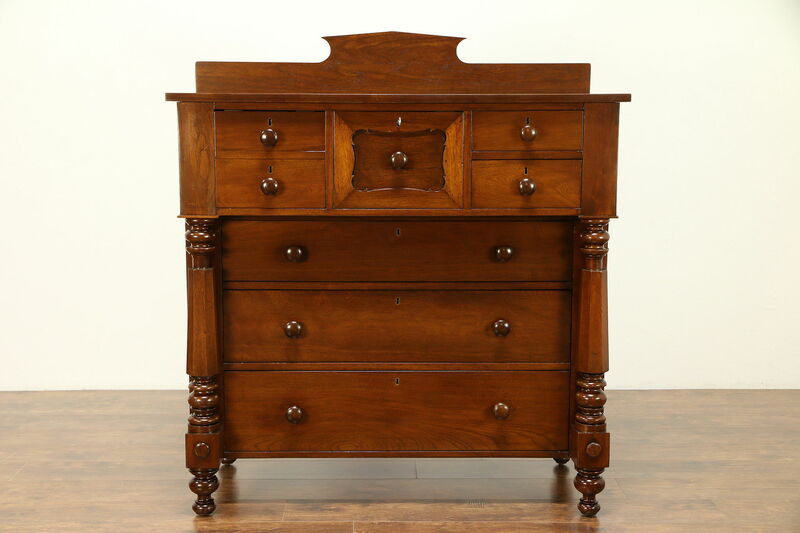 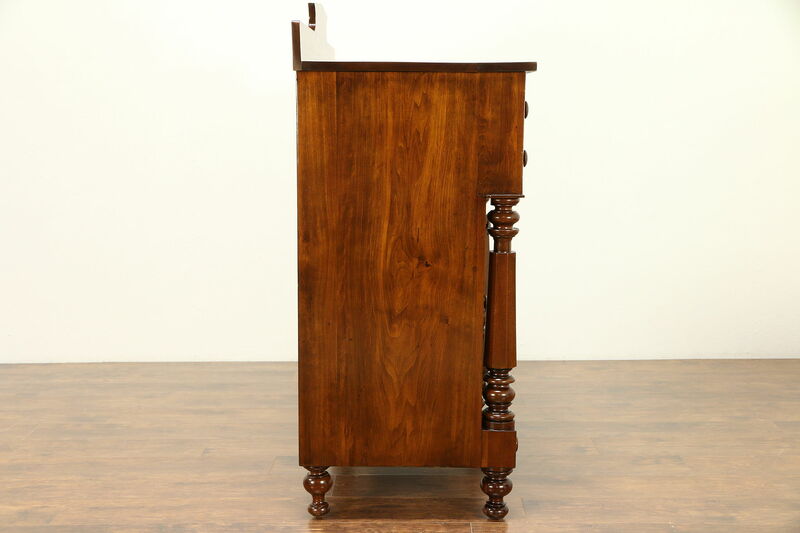 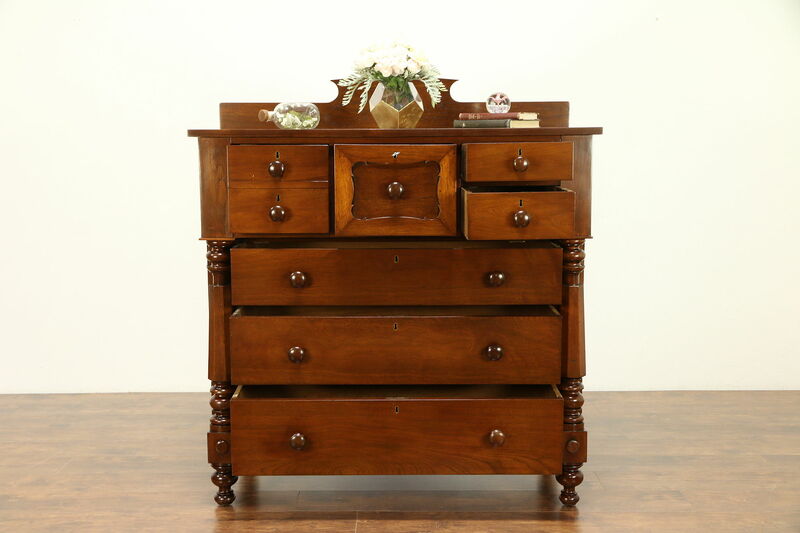 An Empire period dresser or linen chest with deep wine bottle drawers was hand crafted of solid walnut about 1830 in Ohio. 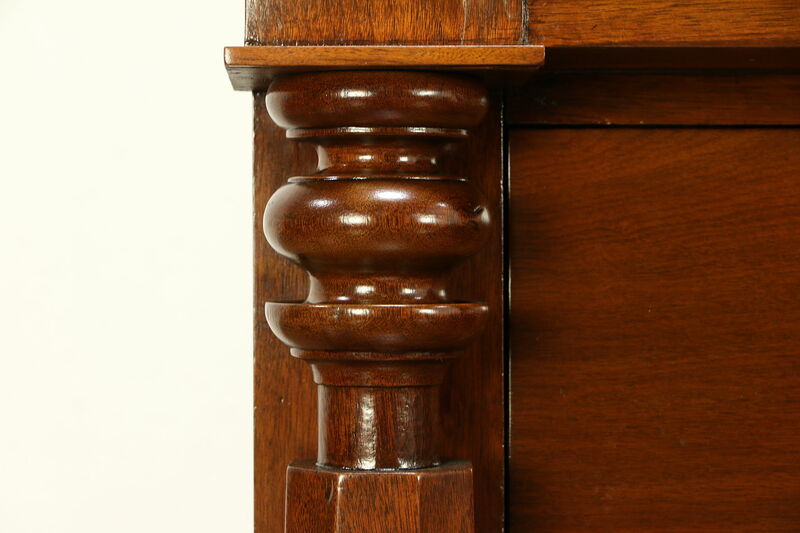 Octagonal columns flank the sides. 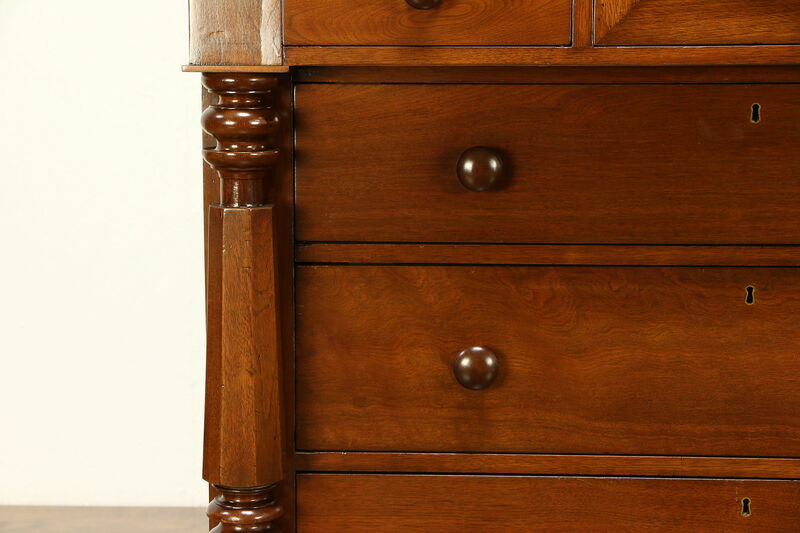 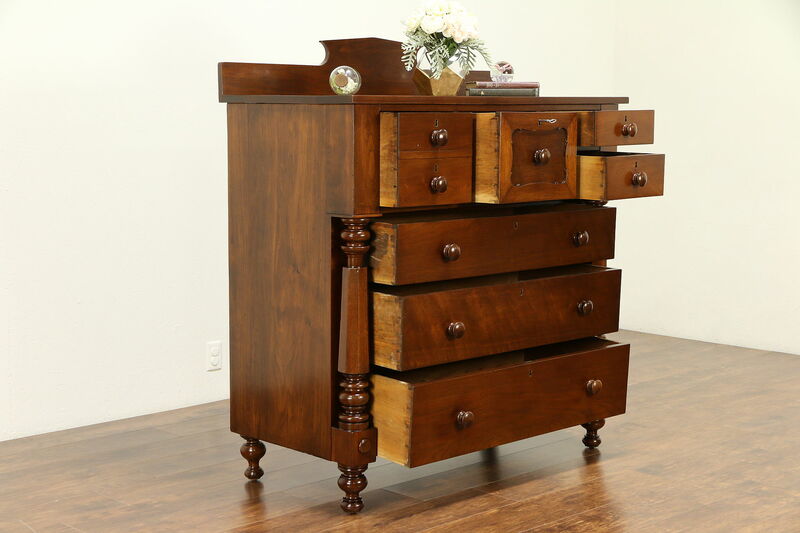 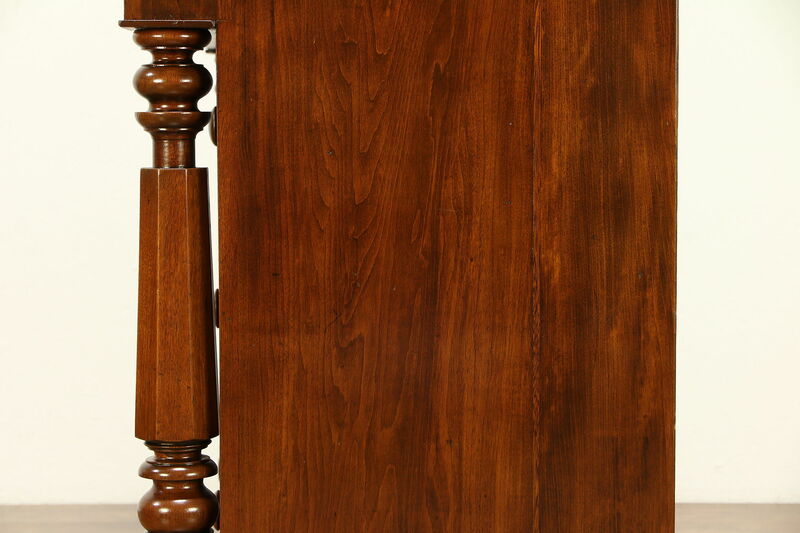 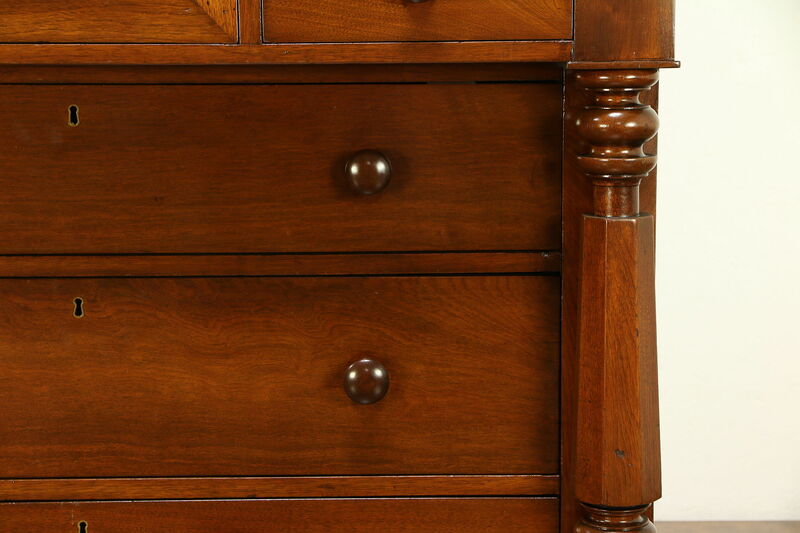 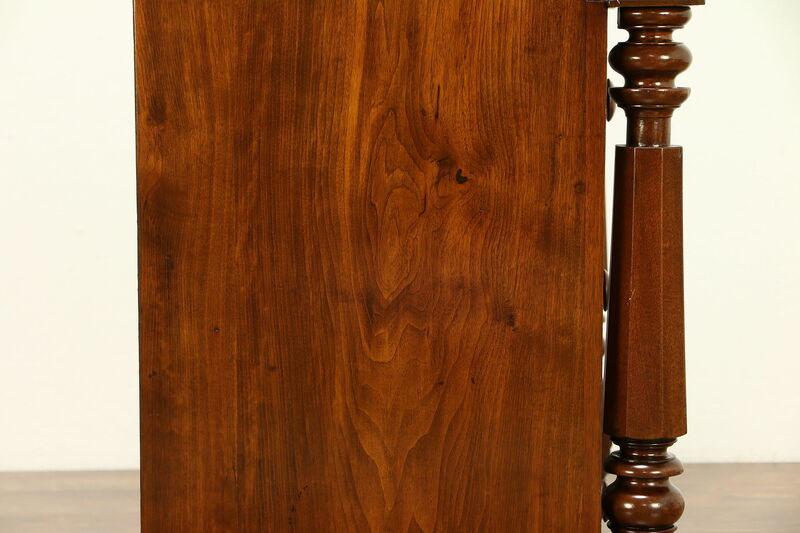 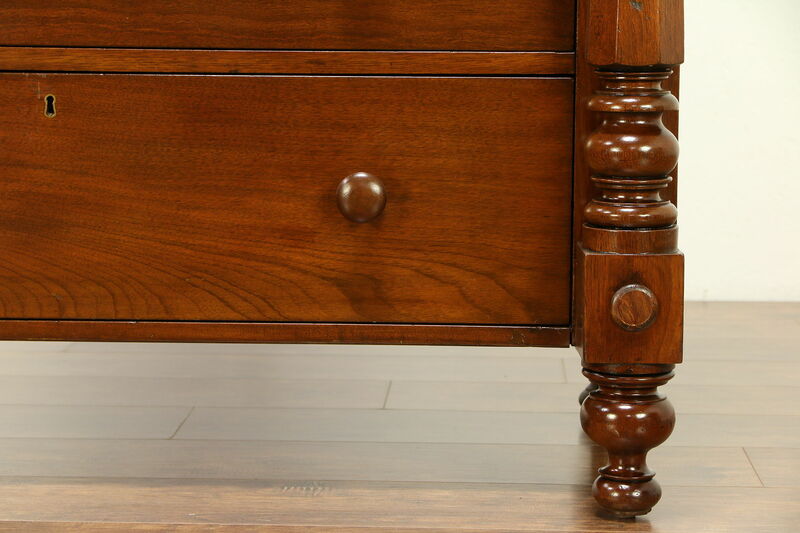 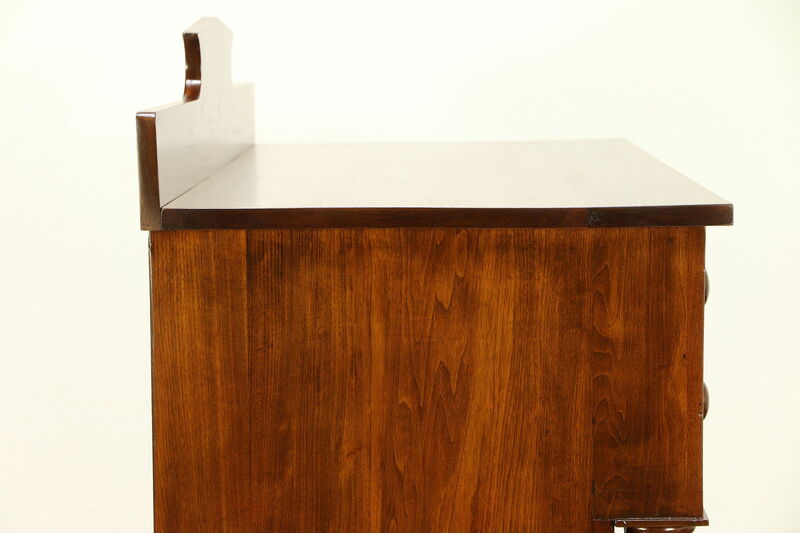 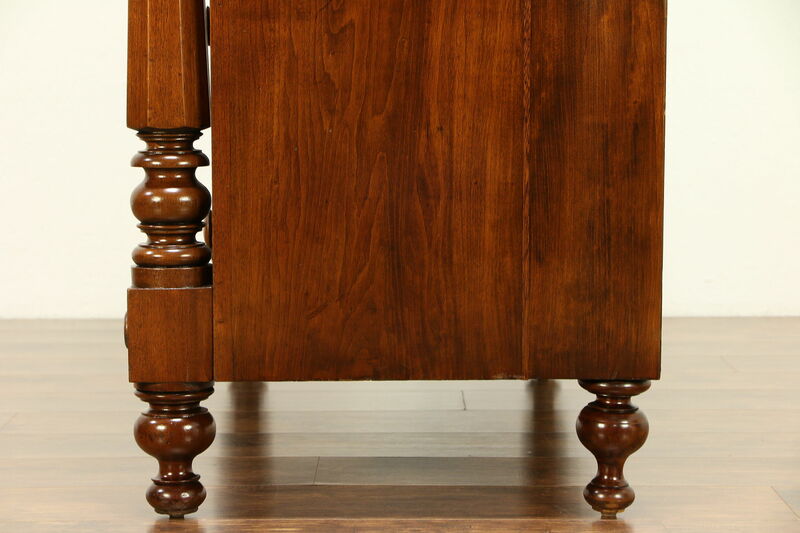 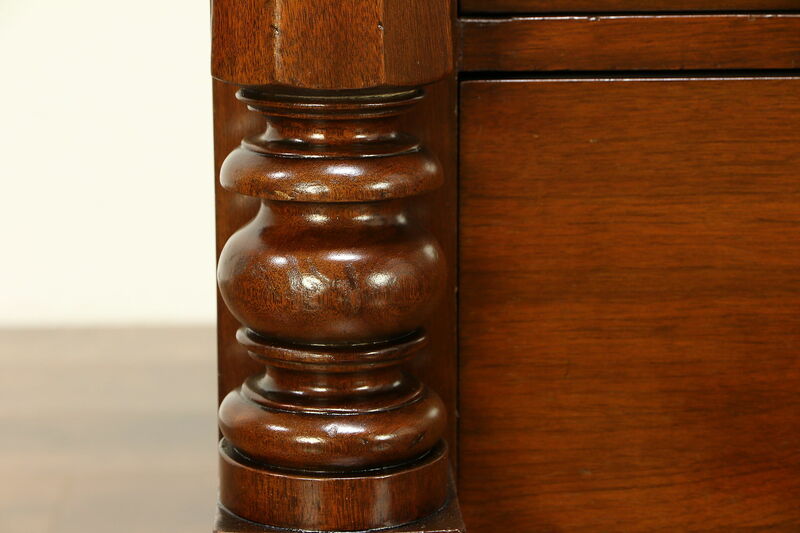 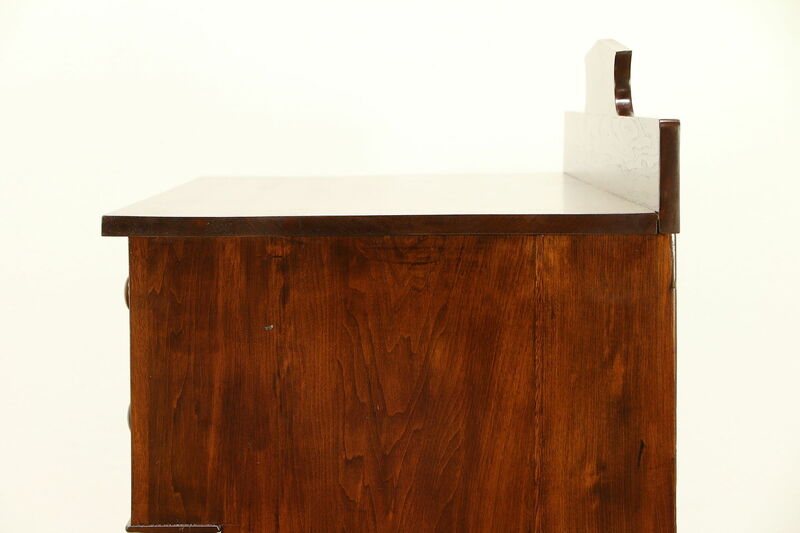 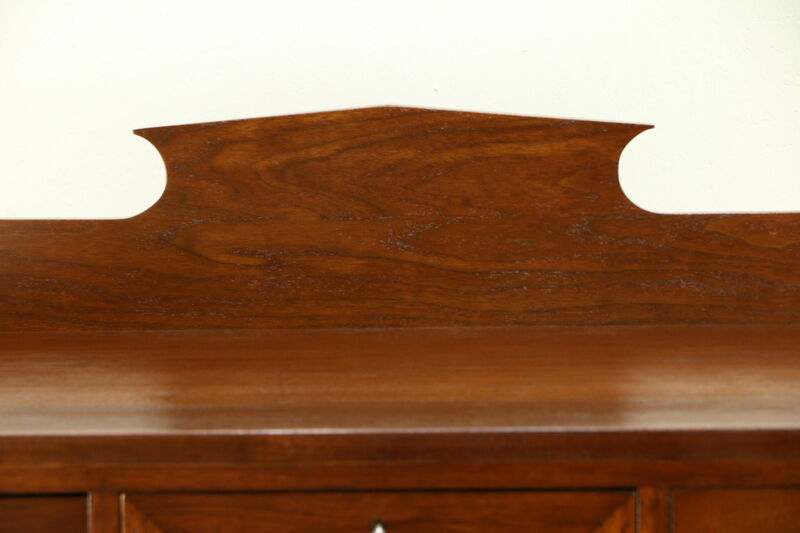 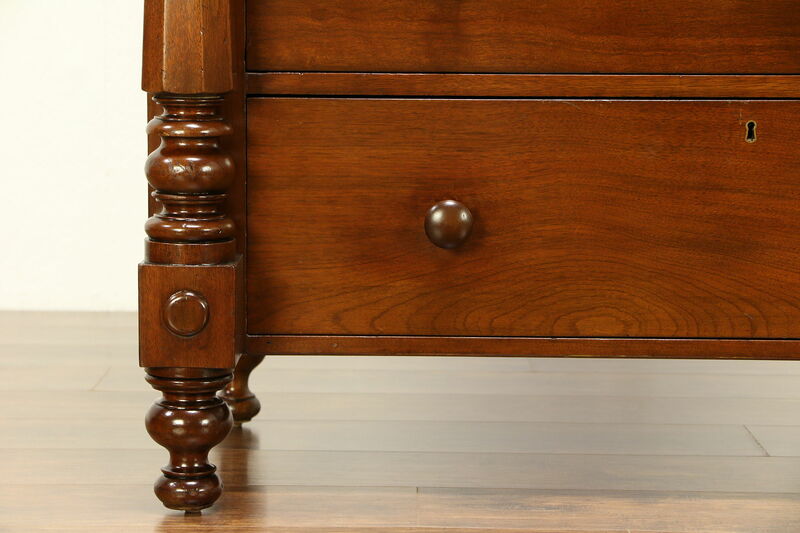 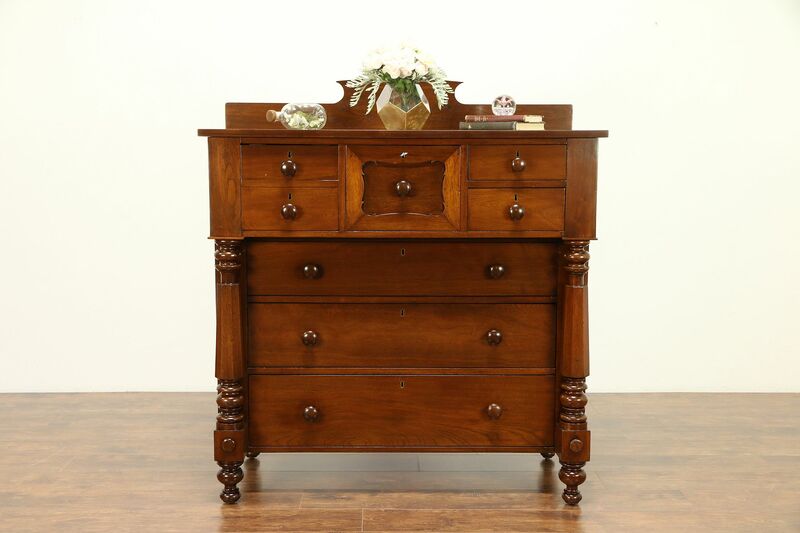 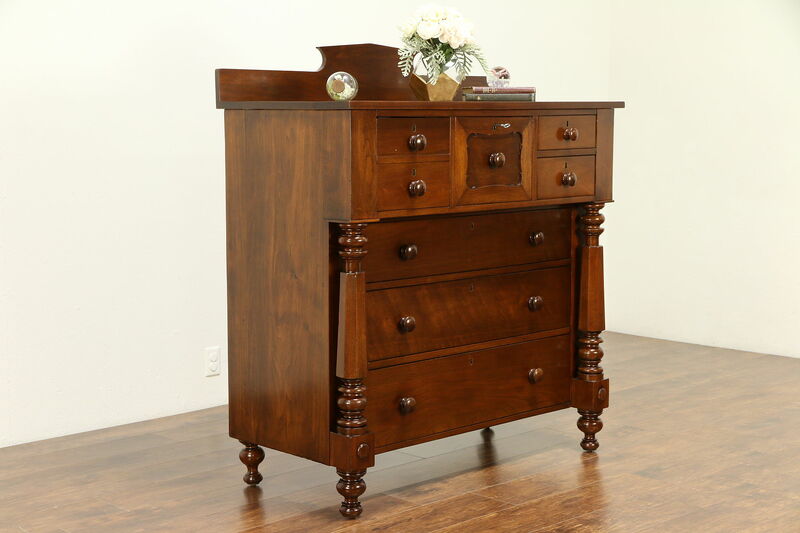 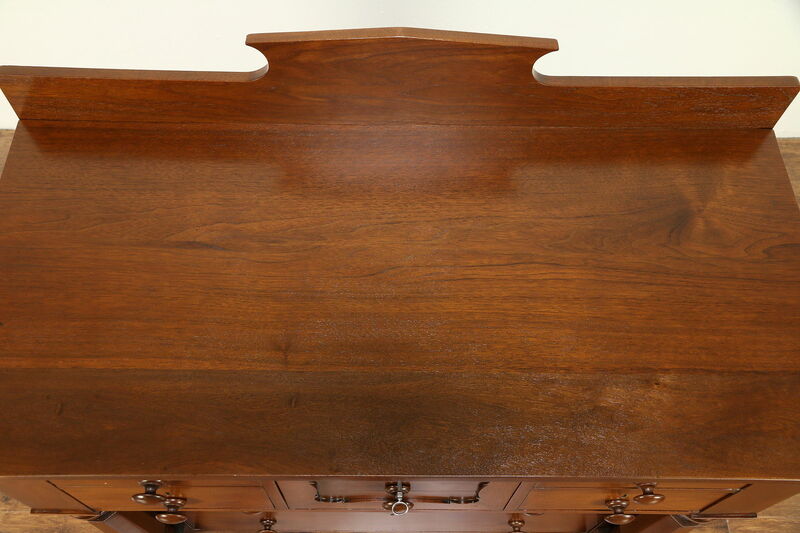 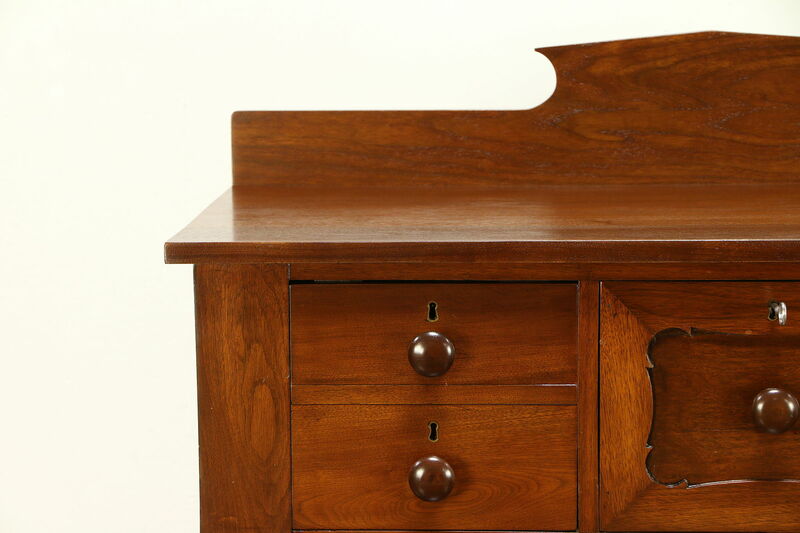 The restored finish is in excellent condition, preserving minor mars and shrinkage separations from age on this American made antique furniture. 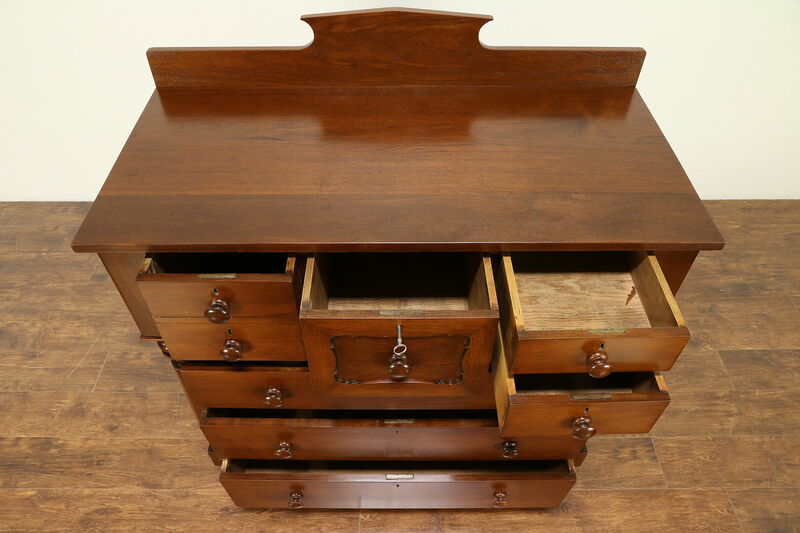 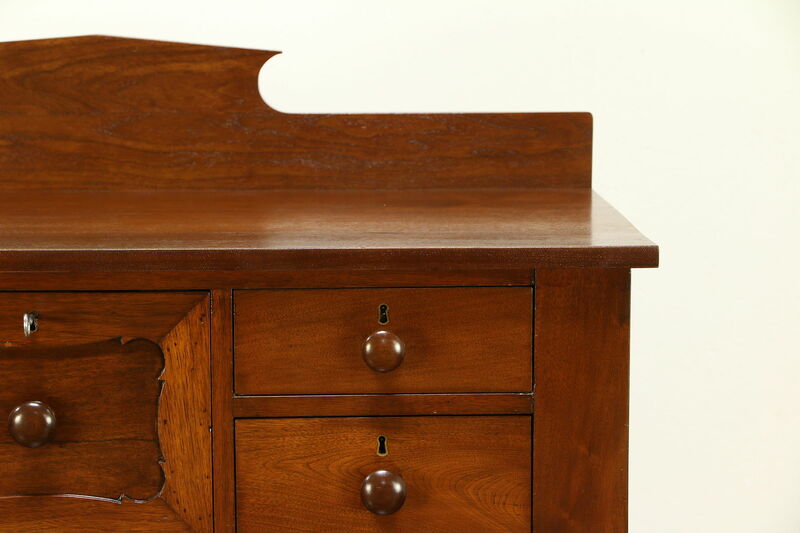 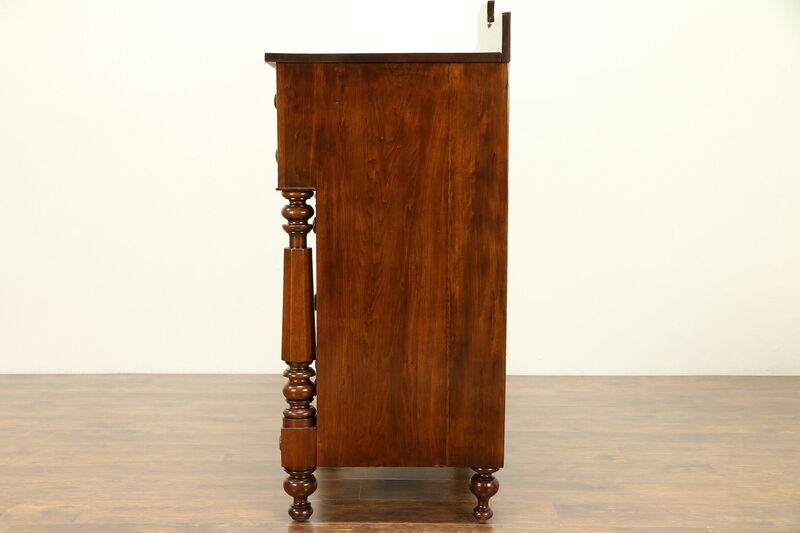 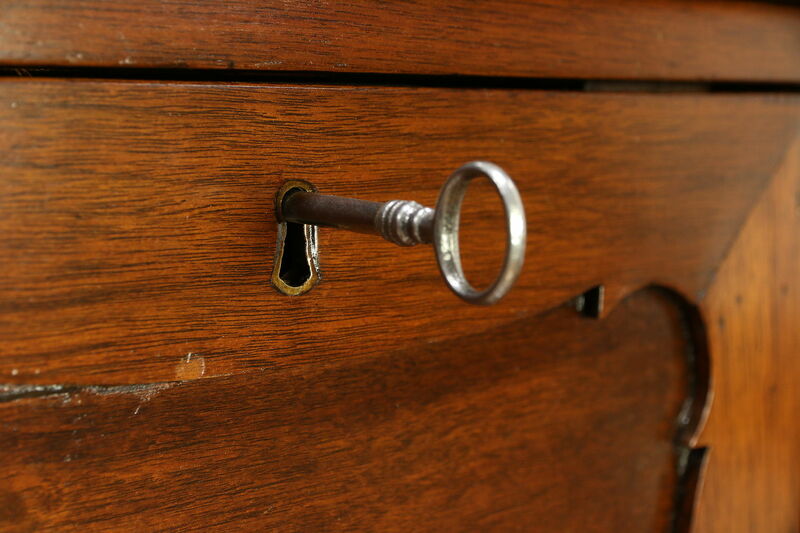 Drawers have hand cut dovetail joints, chamfered bottoms and working locks. 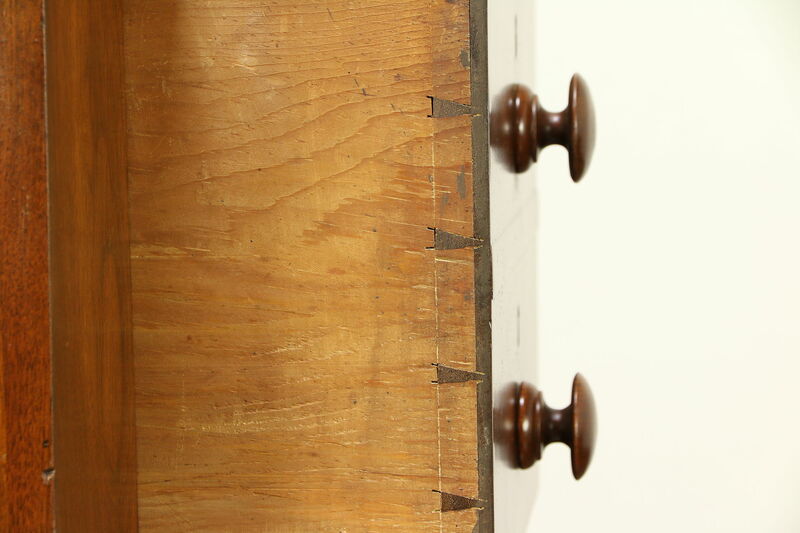 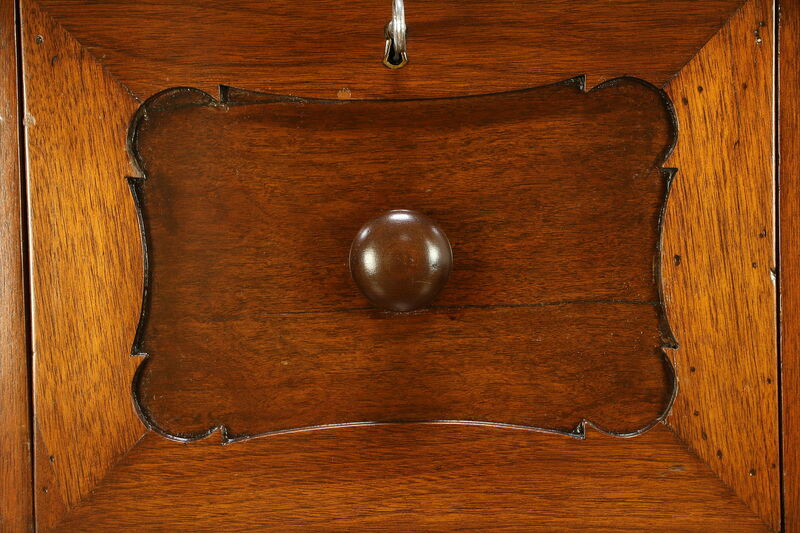 Turned walnut knobs are attached with wooden screws. 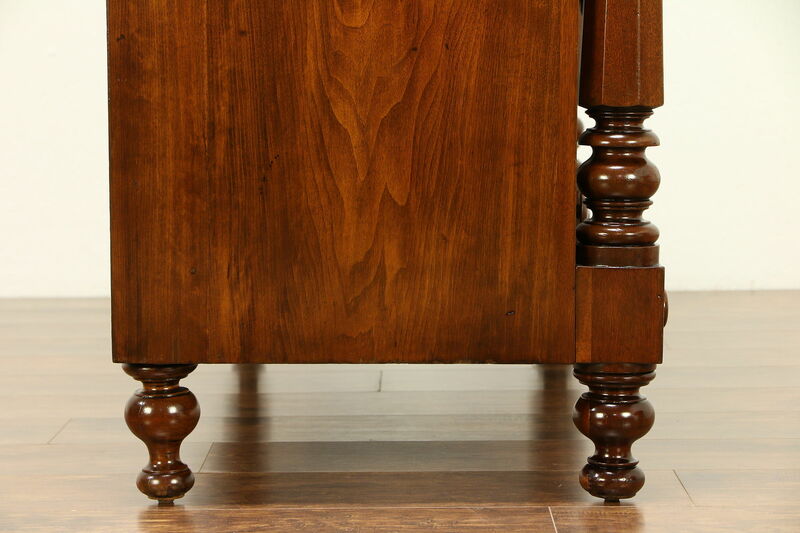 Measurements are 50" wide, 24" deep and 56" tall.